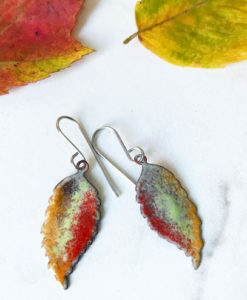 Mixed metal earrings, copper and silver earrings, flame painted copper teardrop with melted silver artistic earrings. 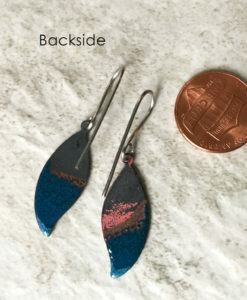 Great teardrop earring with copper and silver, mixed metal fun dangle. 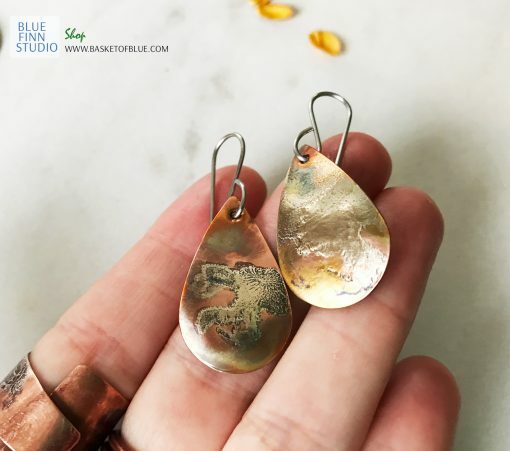 The silver was melted on the copper to create a one of a kind unique shape and pattern. 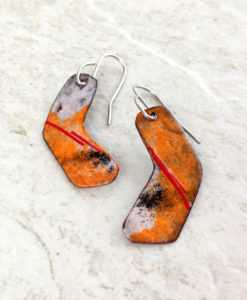 (I call these the Mars earrings!) 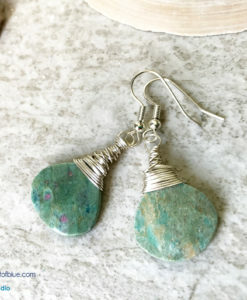 It’s like mysterious craters jewelry. 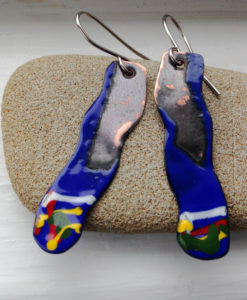 The copper earring pair was then flamed with a torch to produce fun color variation. Pure metals in fun form! 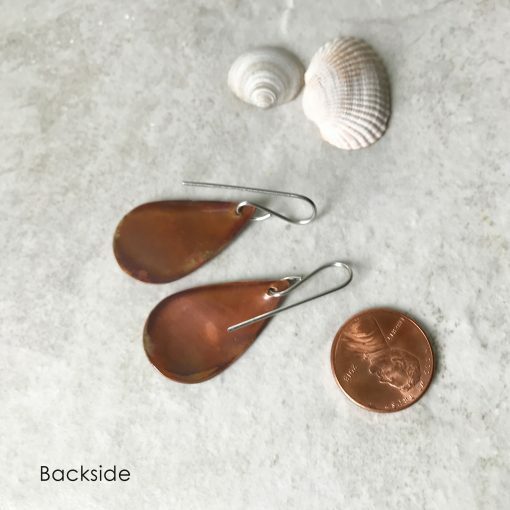 Copper teardrop length 1 1/4″, total earring dangle is 1 3/4″. Stainless steel earwires. The mixed metal earrings are coated with high grade jewelry clear coat. 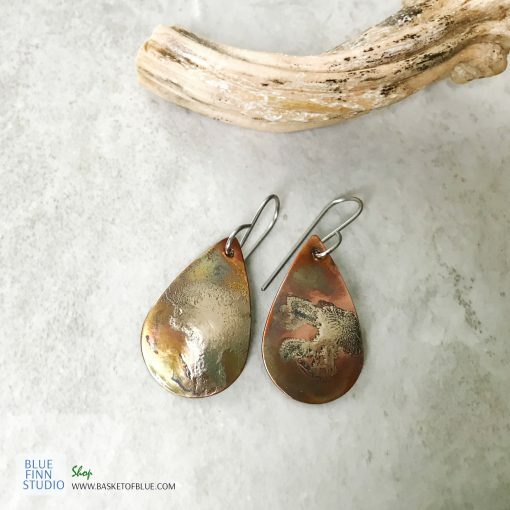 Mixed metal copper earrings, torch fired to create an artistic shape with molten Sterling silver. 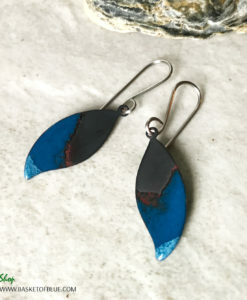 Great teardrop earring with copper and silver, mixed metal fun dangle. 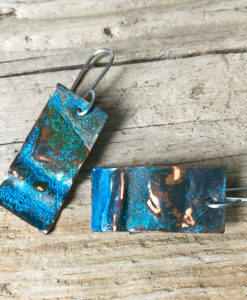 The silver is melted on the copper with a high powered torch and then manipulated to move on the copper. 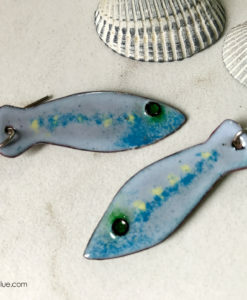 This creates a one of a kind unique shape and pattern. 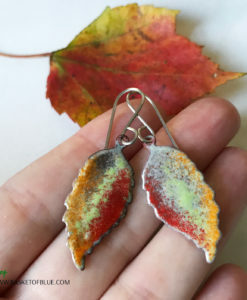 (I call these the Mars earrings!) 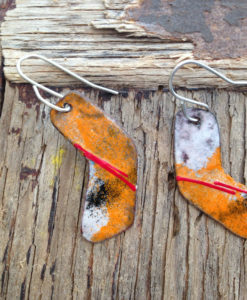 It’s like mysterious craters jewelry. 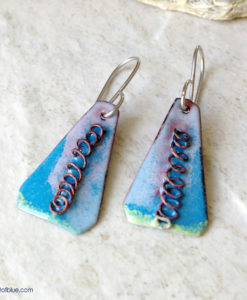 The copper earring pair was then flamed with a torch to produce fun color variation. 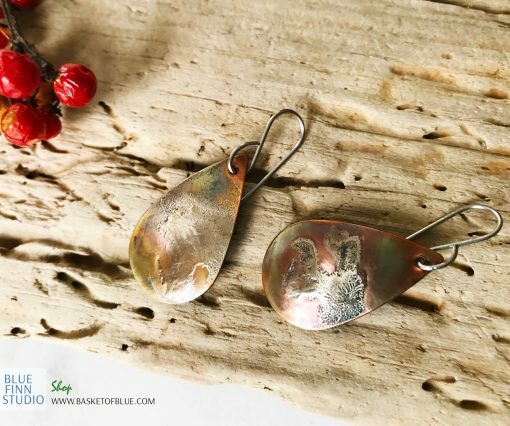 Pure metals in fun form! 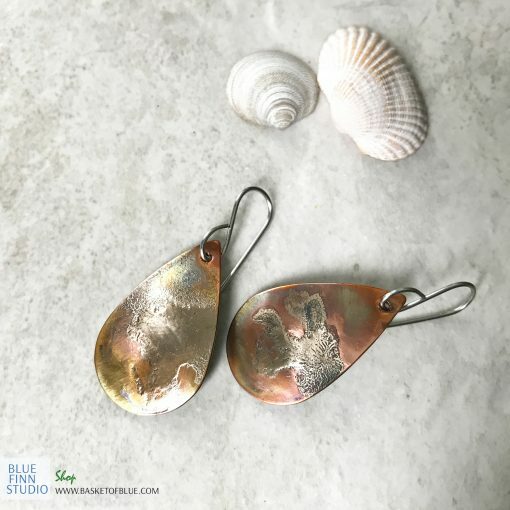 Copper teardrop length 1 1/8″, total earring dangle is 1 7/8″. 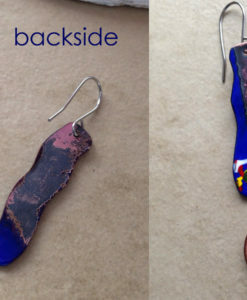 Stainless steel earwires. 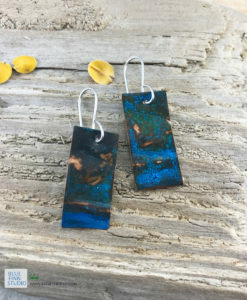 The mixed metal earrings are coated with jewelry clear coat. 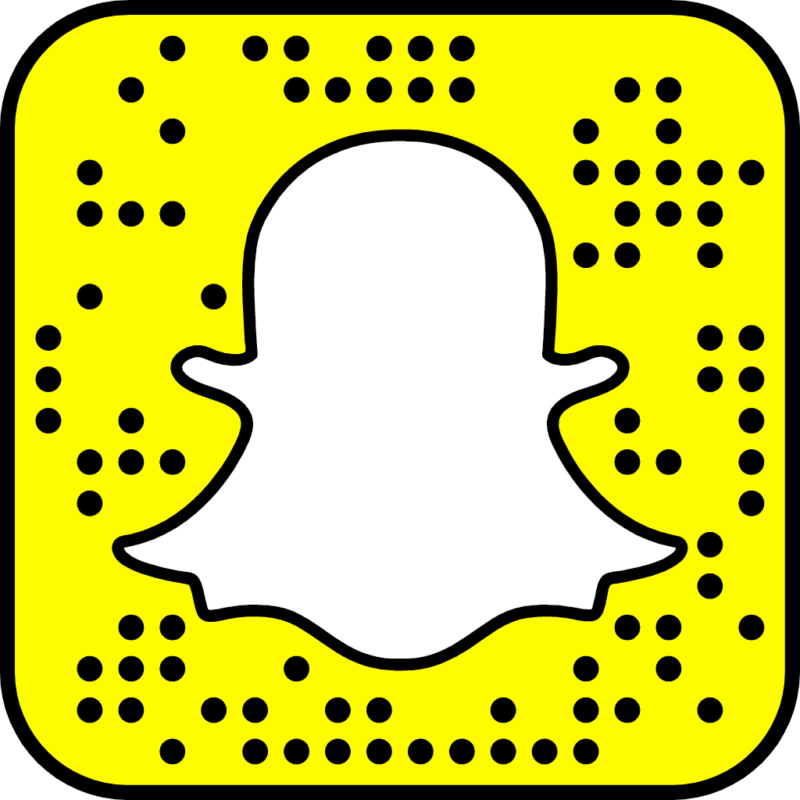 Information about flaming: The pictures are taken in indirect daylight on a tile. The look of natural flame painted copper changes according to the light and how it reflects from the surface. The metal is 24 gauge. 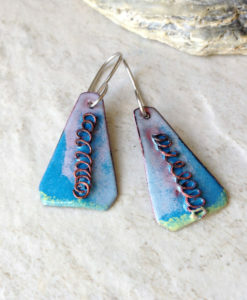 These copper earrings have no chemical or painted on color, the result is all natural. 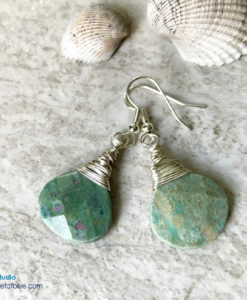 The handmade earrings are absolutely beautiful. 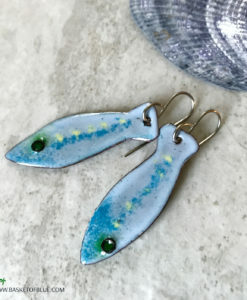 I gave them as a gift and my friend really loved them!